Sadly, this particular candle holder doesn’t light on its own. Nope, that’s not what the title of this post implied. Hold on though, because it is a game changer in its own small way. If you haven’t noticed yet, then by all means hit the jump and finish reading this post. Okay, cat’s out of the bag. There’s a vertical gap on its side. See it? 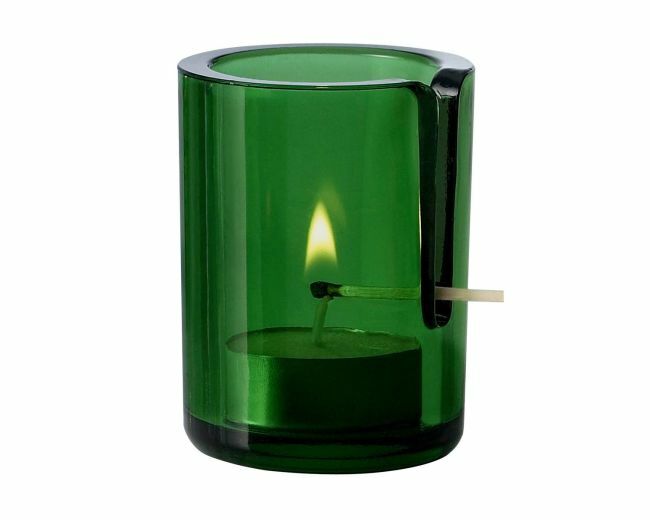 Candle holders, especially when they come in containers, tend to be difficult when the candle itself has shrunk. Lighting them again becomes a task rather than convenience. Worse, the effort is unnecessary because these types of things don’t do much illuminating anyway. They’re ornamental to an annoying degree. It comes in blue, grey, and purple and sold in a batch. The pay off hear is there’s no more of that fiddling with the container because a lit match can fit right in. See? Innovation! It would still be cool if they lighted by themselves though. Or maybe lighted upon voice command. There should be an app for that! A whole set in different colors costs $75.